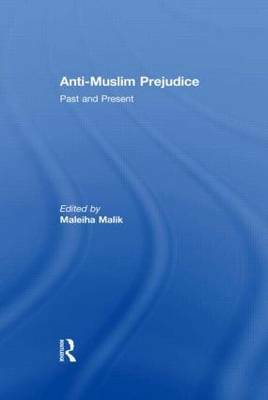 This collection makes a unique contribution to the study of anti-Muslim prejudice by placing the issue in both its past and present context. The essays cover historical and contemporary subjects from the eleventh century to the present day. They examine the forms that anti-Muslim prejudice takes, the historical influences on these forms, and how they relate to other forms of prejudice such as racism, antisemitism or sexism, and indeed how anti-Muslim prejudice becomes institutionalized. This volume looks at anti-Muslim prejudice from a wide range of disciplinary perspectives, including politics, sociology, philosophy, history, international relations, law, cultural studies and comparative literature. The essays contribute to our understanding of the different levels at which anti-Muslim prejudice emerges and operates - the local, the national and the transnational - by also including case studies from a range of contexts including Britain, Europe and the US. This book contributes to a deeper understanding of contemporary political problems and controversial topics, such as issues that focus on Muslim women: the 'headscarf' debates, honour killings and forced marriages. There is also analysis of media bias in the representation of Muslims and Islam, and other urgent social and political issues such as the social exclusion of European Muslims and the political mobilisation against Islam by far-right parties. This book was published as a special issue of Patterns of Prejudice.